Long live Hugo Pinell, who showed us the power of the human spirit, that love can survive and overpower hell on earth. Black August adds another hero and martyr to the roll. From December 1970 to 2014, when he finally had a contact visit with his mother, Yogi was allowed to come out from behind the thick glass in the visiting room and touch a loved one only once: When he married Shirley, they were given 15 minutes together. She later died. 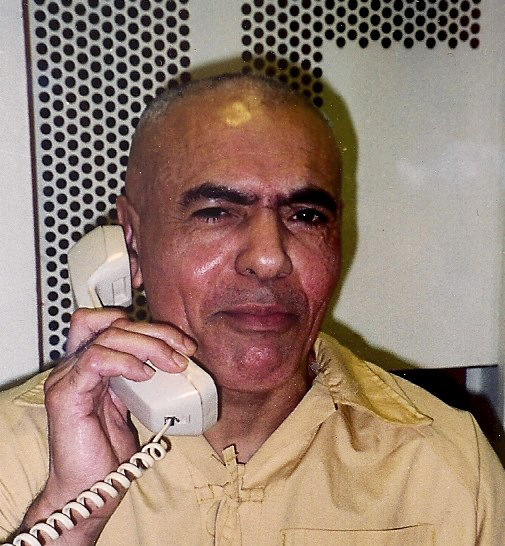 By some accounts, it was his first day on the yard after 46 years in solitary confinement when Hugo Pinell, affectionately known as Yogi Bear, was assassinated Aug. 12. The news sparked a victory celebration by prison guards on social media: “May he rot in hell” and “Good riddens” (sic), they typed. Yogi was the only member of the San Quentin 6 still in prison, and his role in the events of Aug. 21, 1971, the day George Jackson was assassinated, has earned the guards’ incessant enmity ever since. “This is revenge,” declared his close friend, fellow Black Panther veteran Kiilu Nyasha, on Hard Knock Radio Aug. 13. “They hated him as much as George Jackson. They beat him constantly, kept him totally isolated for 46 years – no window, no sunlight – but they could never break him, and that’s why they hated him. “The only way he survived was that this man was full of love.” …. ….Hugo became a part of the Prison Liberation Movement, which saw the prison as a front of struggle connected to the global upsurge of oppressed people against colonialism, imperialism, and white supremacy. This was a period of intense education, organizing, and resistance among imprisoned people—some locked up as political prisoners, some transformed while inside, nearly all targeted by prison administrations for their political stances and activism. In 1971, Hugo, along with 5 other prisoners at San Quentin State Prison in California, were charged with raising a rebellion at the facility’s Adjustment Center, during which prisoner movement leader George Jackson was assassinated. Several weeks later, actions commemorating the assassination of Jackson by prisoners at Attica went on to spark the massive rebellion at that prison. The story and political trial of the San Quentin Six helped people across the planet to understand the conditions inside prison, the resistance of prisoners, and the connection across the walls that the Prison Liberation Movement was trying to make. I wasn’t prepared for a hunger strike, so I don’t know how well or how long I can hold on, but I had to participate…I don’t even think in terms of doing or saying something wrong, for that would strike against everything I live for: freedom, becoming a new man and the New World. So, Sis, this hunger strike provides me with an opportunity for change while also allowing me to be in concert with, and in support of, all those willing to risk their precious and valuable health. …. We are saddened by the news of Hugo Pinell’s death. Hugo Pinell always expressed a strong spirit of resistance. 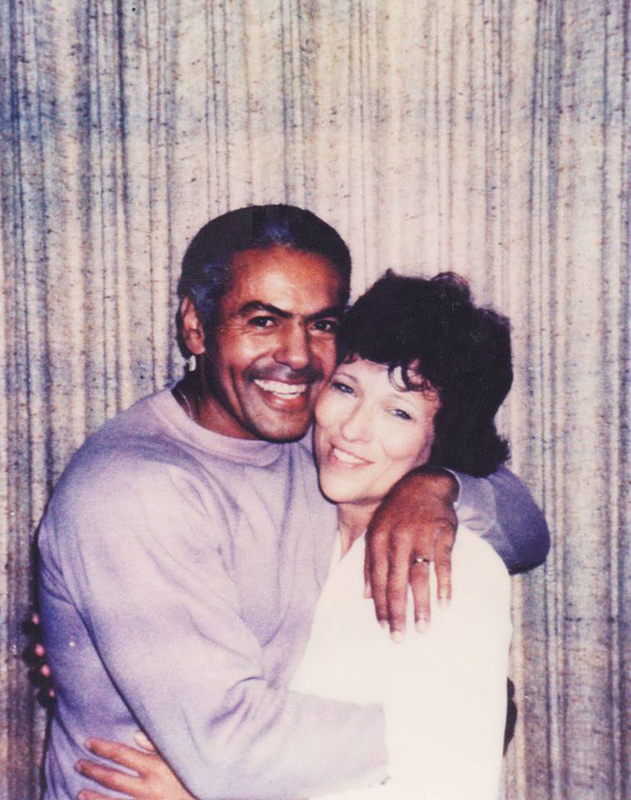 He worked tirelessly as an educator and activist to build racial solidarity inside of California’s prison system. …. ….As the California Prisons began to lock people up in long-term isolation and control unit facilities, Hugo was placed inside of the SHU (Secure Housing Unit) in prisons including Tehachapi, Corcoran and Pelican Bay. There, despite being locked in a cell for 23 hours a day, he continued to work for racial unity and an end to the torturous conditions and racially and politically motivated placement of people into the SHU. This work included his participation in the California Prison Hunger Strikes as well as supporting the Agreement to End Racial Hostilities in 2012. At the time of his death, Hugo had been locked behind bars for 50 years yet his spirit was unbroken. A short poem written by Hugo Pinell from a publication issued in 1995. We called for your help in June, and we’re calling for it again. Last month, California Department of Corrections & Rehabilitations (CDCR) issued revisions to its proposed “obscene materials,” i.e. censorship regulations published earlier this year.This was in response to hundreds of public comments submitted to CDCR by CURB members and members of the public. CDCR promised to go back to the drawing board, saying the public had misunderstood its intent.This shows our collective people power! Yet, the revisions recently made by the Department are superficial and fail to address the serious concerns so many of us raised in our public comments. If the proposed regulations are approved, CDCR will be able to permanently ban any publications it considers contraband, including political publications and correspondence that should be protected by First Amendment constitutional rights. Expand the CDCR’s ability to arbitrarily cut off its wards from direly needed contact and support coming from outside, thus further isolating them. Please weigh in and speak out against these regulations. The public comment period is open until 5pm on November 10. Resources to help craft a letter are provided at the action page. Spread the word on Facebook and ask your friends, family, neighbors, pastor, school class, place of worship, and organizations to write also. Then take action on Monday by joining fellow CURB organizations Flying Over Walls and The Transgender, Gender Variant & Intersex Justice Project (TGIJP) and PHSS make mass phone calls to CDC voicing our criticisms! Thank you for everything you do and for your initial round of public comments in June. Last month we marked the first anniversary of the end of our historic 60-day Hunger Strike. Oct. 10 we mark the two-year anniversary of the Agreement to End Hostilities. We will not stop until there is no more widespread torturous isolation in California for ourselves and for those who will come after us. We are writing to offer our position on the two bills pending before the Assembly and the Senate (SB 892 and AB 1652) dealing with the solitary confinement and gang validation policies of the California Department of Corrections and Rehabilitation (CDCR). 5) Expand and provide constructive programming and privileges for indefinite SHU status inmates. a. During assessment for SHU placement, the use of testimony (whether or not confidential) of an in-custody informant should be corroborated by an independent source before being relied upon to place someone in a SHU. Corroboration cannot be based upon the testimony of another in-custody informant unless such in-custody informant obtained the information independently from the first in-custody informant and the information is not based on hearsay. This is essentially the same principle now applied in criminal court cases since 2011 (see Cal. Penal Code §1111.5). c. AB 1652 should implement provisions for increased oversight, studies, data collection, and reporting back to the Legislature on the SHU classification process, the mental and physical wellbeing of inmates in SHUs, and the reasons why SHU inmates are denied reentry into the general population. Senate member Hancock’s SB 892 contains these provisions, which we recommend be included in AB 1652. Collecting and considering this data can lay the foundation for a future more comprehensive legislative evaluation of solitary confinement practices in California. a. The bill should incorporate the language of AB 1652 (or similar language) which eliminates the use of gang validation and minor rule violations as a justification for placing inmates in SHUs. As it stands currently, SB 892 does not eliminate SHU assignment for mere gang association and it does not eliminate indeterminate SHU terms. This is a critical issue and one of our core demands. The nationwide trend is clearly not to place prisoners in segregated housing units for alleged gang association without accompanying serious rule violations. Numerous states have moved in this direction for public safety reasons, for humane reasons, and to cut costs. California should not move in the opposite direction. b. As mentioned above, we recommend that language be added so that during assessment for SHU placement, the use of testimony (whether or not confidential) of an in-custody informant should be corroborated by an independent source before being relied upon to place someone in a SHU. Corroboration cannot be based upon the testimony of another in-custody informant unless such in-custody informant obtained the information independently from the first in-custody informant and the information is not based on hearsay. This is essentially the same principle now applied in criminal court cases since 2011 (see Cal. Penal Code §1111.5). c. As mentioned above, we recommend that language be added so that an attorney-advocate should be made available (at no cost too the State) to inmates facing a sentence of more than 30 days in a SHU. We do not believe that the range of provisions in SB 892 related to review by the Office of the Inspector General of cases in which SHU placement is based on the testimony of a confidential informant, the appointment of ombudsmen, the requirement for a daily face-to-face encounter with CDCR employees, the appointment of an “advocate” for an inmate being processed for SHU placement, or the Step Down Program in the bill will make any measurable difference in CDCR solitary confinement practices. The Inspector General is unlikely based upon review of a file to reverse decisions based on confidential informants. Ombudsmen will be of little value as long as inmates can be placed in SHUs for alleged gang association when they have engaged in no wrong-doing. “Face-to-face” encounters already happen almost every day when our food is served or a psych tech walks past our cells. Allowing an “advocate” to assist in the SHU assignment process will mean assignment of a guard who could care less about the result. And the proposed step-down program focuses on forcing prisoners to disavow alleged gang association or activities rather than on a behavior-based model considering whether the prisoner has violated rules while in the SHU. Despite these misguided and costly provisions in SB 892, we would support the bill if it is amended to include the provisions identified above. However, the narrower and more focused (and less costly) AB 1652, particularly if amended as suggested above, would far better serve the public safety, prison security, and the humane treatment of prisoners. It’s a first but critically important step in the direction of a rational and humane policy. Further legislation could be considered in the next legislative session after CDCR data is collected by the legislature. Thank you for considering our comments and suggestions. Let your legislator know you support AB 1652. AB 1652 takes a significant step forward in reforming solitary confinement by specifying that the California Department of Corrections and Rehabilitation (CDCR) may only place prisoners into SHUs for serious rule violations. As a result, CDCR could no longer place people into SHUs indefinitely for allegedly having a connection to a gang. 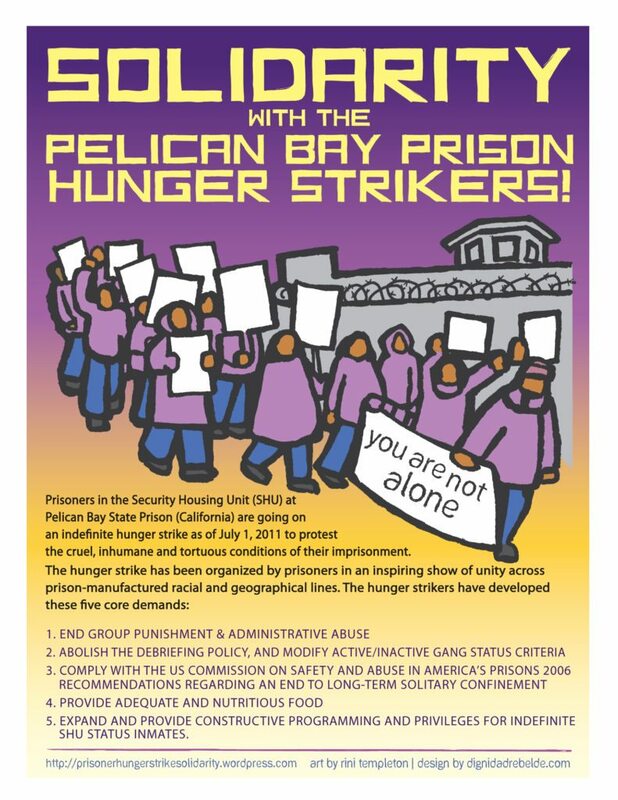 This post is chock full of resources and various updates, downloads of recent newsletters, new media articles and PBS specials about solitary confinement, exciting upcoming events with Lynne Stewart, and information on our weekly meetings. Thanks to all the outcry about the recent cell raids in Corcoran SHU, we believe they have stopped, according to a letter from the person who alerted us originally. We still encourage you to send criticisms regarding the Security Threat Group/Step Down Program regulations, even though the official deadline is over. 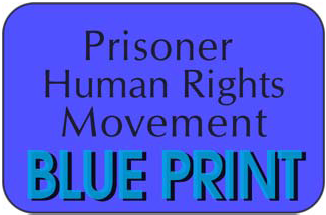 Send to rpmb@cdcr.ca.gov and cc to peoplesarc@gmail.com. Emergency Response Alert: Stop Violations at Corcoran SHU! Please check out this Emergency Response Alert about human rights violations by prison officials against prisoners in the Corcoran SHU. And take the suggested actions: email, write or call the prison officials and CDCr to protest. Demand the end to destructive and retaliatory cell searches. This link makes it very easy to take action! Thank you from the Emergency Response Network and the Human Rights Pen Pal Program of the Prisoner Hunger Strike Solidarity Coalition. We need your help. Can you write a quick email or fax a note? The California prison system’s Security Threat Group/Step Down Program (STG/SDP) is getting close to being implemented. These regulations govern placement into and release from the SHU (Secure Housing Units), California’s long-term solitary confinement cells. The STG/SDP policies will perpetuate California’s over use of torturous isolation. We are soliciting your help to weigh in and speak out against these regulations. Please submit a comment and ask your friends, family, neighbors, pastor, school class, place of worship, and organizations to write also. For a comment to have impact it must address some aspect of the proposed regulations. To help, we’ve made a FACT SHEET and LIST OF PROBLEMS with the STG/SDP regulations. (The footnote below gives a link and a partial index to the officially proposed regulations we’re commenting on 1) Take an issue or two -or more- and express your feelings, it doesn’t have to be long or fancy, but it does have to talk about the STG/SDP regulations. If you send an email please cc: PeoplesARC@gmail.com. The public comment period is open now; it closes April 3, 2014 at 5 PM.